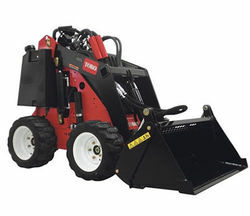 Toro mini digger on wheels. Diesel powered engine hire with 1 Meter bucket compact utility loader gives you greater capability and effortless manoeuvrability, increasing productivity with less time in a short learning curve – even for inexperienced operators. 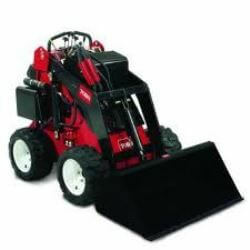 Designed specifically for professionals, this machine is an innovative, rugged and reliable piece of equipment for virtually any job.